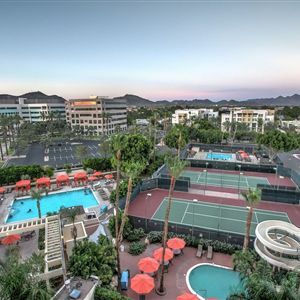 Property Location With a stay at Sheraton Crescent Hotel in Phoenix (North Mountain), you'll be minutes from Castle N' Coasters and Metrocenter. This family-friendly hotel is within close proximity of Shaw Butte and North Mountain Park. Rooms Make yourself at home in one of the 342 air-conditioned rooms featuring flat-screen televisions. Your pillowtop bed comes with down comforters. Rooms have private balconies. Complimentary wired and wireless Internet access keeps you connected, and cable programming provides entertainment. Private bathrooms with shower/tub combinations feature complimentary toiletries and hair dryers. Amenities Dip into one of the 3 outdoor swimming pools or enjoy other recreational amenities including a waterslide and an outdoor tennis court. Additional amenities at this hotel include complimentary wireless Internet access, concierge services, and gift shops/newsstands. Dining Satisfy your appetite at the hotel's restaurant, which serves breakfast and lunch. Dining is also available at a coffee shop/café, and room service (during limited hours) is provided. Relax with your favorite drink at a bar/lounge or a poolside bar. 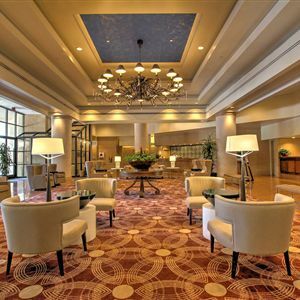 Business, Other Amenities Featured amenities include a business center, limo/town car service, and express check-out. 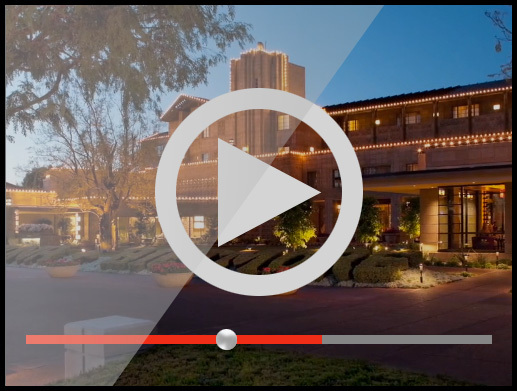 Planning an event in Phoenix? This hotel has facilities measuring 8064 square feet (749 square meters), including conference space. Free self parking is available onsite. Best Available - Advance Purchase Rate, Prepay In Full, See Rate. Rules, Guest Room, 1 King, Mountain View. Best Available - Advance Purchase Rate, Prepay In Full, See Rate. Rules, Guest Room, 1 King, Pool View, Balcony. Best Available - Advance Purchase Rate, Prepay In Full, See Rate. Rules, Guest Room, Mountain View. Best Available - Advance Purchase Rate, Prepay In Full, See Rate. Rules, Guest Room, Pool View. Best Available - Advance Purchase Rate, Prepay In Full, See Rate. Rules, Larger Guest Room, 1 King, Corner Room. Best Available - QUALIFYING MEMBER RATE (AAA): AAA Hot Deals, Larger Guest Room, 1 King,. Corner Room. Best Available - QUALIFYING MEMBER RATE (AAA): AAA Hot Deals, Guest Room, 1 King, Pool View,. Balcony. Best Available - QUALIFYING MEMBER RATE (AAA): AAA Hot Deals, Guest Room, Pool View. Best Available - QUALIFYING MEMBER RATE (AAA): AAA Hot Deals, Guest Room, 1 King, Mountain. View. Best Available - QUALIFYING MEMBER RATE (AAA): AAA Hot Deals, Guest Room, Mountain View. Best Available - QUALIFYING MEMBER RATE (AAA): AAA with Breakfast Rate, See Rate Rules, Guest. Room, 1 King. Best Available - QUALIFYING MEMBER RATE (AAA): AAA Rate, AAA Membership Card Required, Guest. Room, Pool View. Best Available - QUALIFYING MEMBER RATE (AAA): AAA Hot Deals, Club Lounge Access, Guest Room,. 1 King. With a stay at Sheraton Crescent Hotel in Phoenix (North Mountain), you'll be minutes from Castle N' Coasters and Metrocenter. This family-friendly hotel is within close proximity of Shaw Butte and North Mountain Park. Make yourself at home in one of the 342 air-conditioned rooms featuring flat-screen televisions. Your pillowtop bed comes with down comforters. Rooms have private balconies. Complimentary wired and wireless Internet access keeps you connected, and cable programming provides entertainment. Private bathrooms with shower/tub combinations feature complimentary toiletries and hair dryers. Dip into one of the 3 outdoor swimming pools or enjoy other recreational amenities including a waterslide and an outdoor tennis court. Additional amenities at this hotel include complimentary wireless Internet access, concierge services, and gift shops/newsstands. Satisfy your appetite at the hotel's restaurant, which serves breakfast and lunch. Dining is also available at a coffee shop/café, and room service (during limited hours) is provided. Relax with your favorite drink at a bar/lounge or a poolside bar. Featured amenities include a business center, limo/town car service, and express check-out. Planning an event in Phoenix? This hotel has facilities measuring 8064 square feet (749 square meters), including conference space. Free self parking is available onsite.